Most of the time when we talk about the Pit Zone, we're talking about our "home base" area on race day. 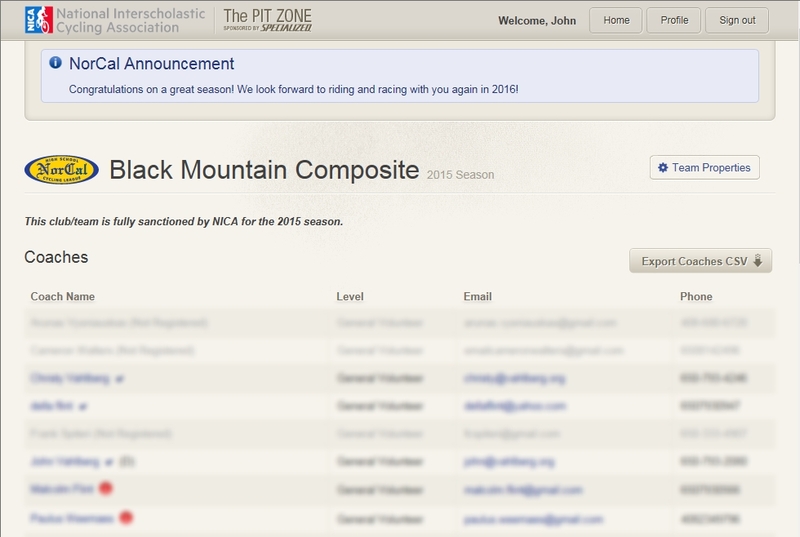 But NICA also has an online "Pit Zone" which is where you will do your online registration for races. The Pit Zone is well supported by NICA. They have a FAQ page and a Pit Zone Manual if you are stuck or have questions. To be able to race, you have to get your paperwork in order. They have simplified the process this year and made it entirely online which is really nice. We will email you an invitation to join our team, and when you respond to the invitation you will be able to make a Pit Zone account, pay your fees, and fill out your form. It usually takes about 20 minutes, and you need to have your parent or guardian electronically sign the form when you're done. If you've waited until the last minute, you can also bring a signed form to the first race. They won't let you race without it! It's easy to register for races online using the Pit Zone. Watch out though, online registration closes at 5pm on the Monday before the race. You can always register in person at the race if you miss the deadline. If you don't mind paying the late fees and dealing with the hassle of registering in person on race day, you can almost get through the season without using the Pit Zone. Except for states. All registration for states is online only. If someone doesn't have an email address or access to a computer, NICA allows your team director to register riders.